Day Twelve: Aluminum Jewelry Tray + FREE Liner! Buy an Aluminum Jewelry Tray and get a FREE Liner! The details: This elegant aluminum tray comes with a free gemstone liner today! Buy one AL831K at regular cost and receive an 83-2M(WH) for free! (That’s a value of $5.15 for free!) 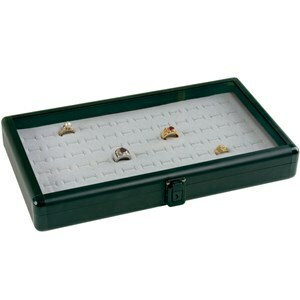 The aluminum tray liner comes with a glass lid and a clasp for secure viewing and displaying. 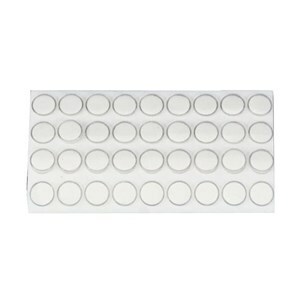 Free liner is white foam with 36 acrylic gem jars. Ideal for display gems, beads, charms, and lockets. Day Five: Jewelry Storage Organizer + 8 FREE Liners! This entry was posted in Community, Displays, Products by gemsblogadmin. Bookmark the permalink.